Since president of basketball operations Magic Johnson and general manager Rob Pelinka made it known the Los Angeles Lakers intended to pursue two max-contract 2018 free agents, it became widely expected the team would be active at the NBA trade deadline. As it presently stands, the Lakers do not have the requisite salary cap space to sign two superstars to max deals. 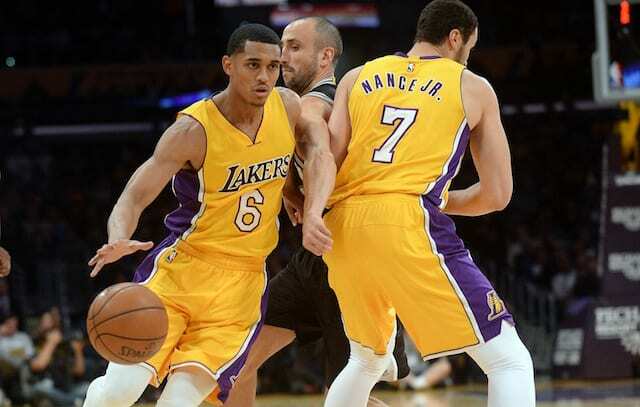 Thus, Jordan Clarkson, Luol Deng and Julius Randle stood out as potential trade candidates. Of course, moving Deng and his albatross of a contract figured to prove more difficult than potentially trading Clarkson or Randle. In the final day leading up to the trade deadline, the Lakers were said not to have much urgency is getting a deal done. That came on the heels of a report the team had shifted its focus to 2019 free agency, when the likes of Jimmy Butler and Klay Thompson, among others, would become available. Lakers are using Larry Nance as a sweetener in deals involving Jordan Clarkson, league sources say. It's unclear which teams have interest, if any. Clarkson is signed through 2019-20 and teams are reluctant to take on pricey long-term contracts. While Clarkson and Randle had long been on the proverbial trading block, it wasn’t until January that Nance’s name also surfaced as being available. The third-year forward has one year remaining on his contract. Clarkson is owed just under $26 million over the next two seasons. 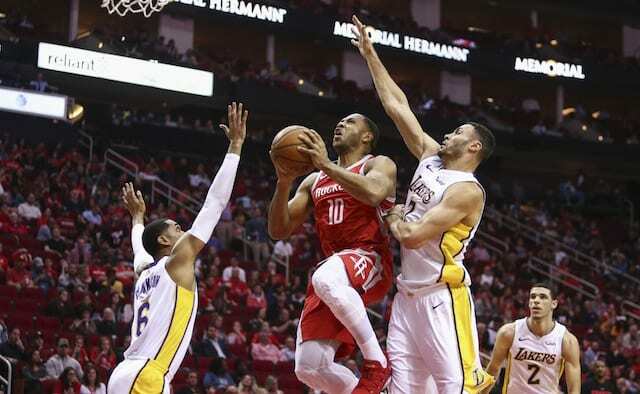 He reportedly was a target of interest for the Cleveland Cavaliers and New Orleans Pelicans in recent weeks. Clarkson is averaging 14.5 points, three rebounds and 3.3 assists per game this season.